Hello Doodlebug fans - It's Tya and I am happy to be on the blog today sharing with you my project I made for the Thankful For You Challenge. 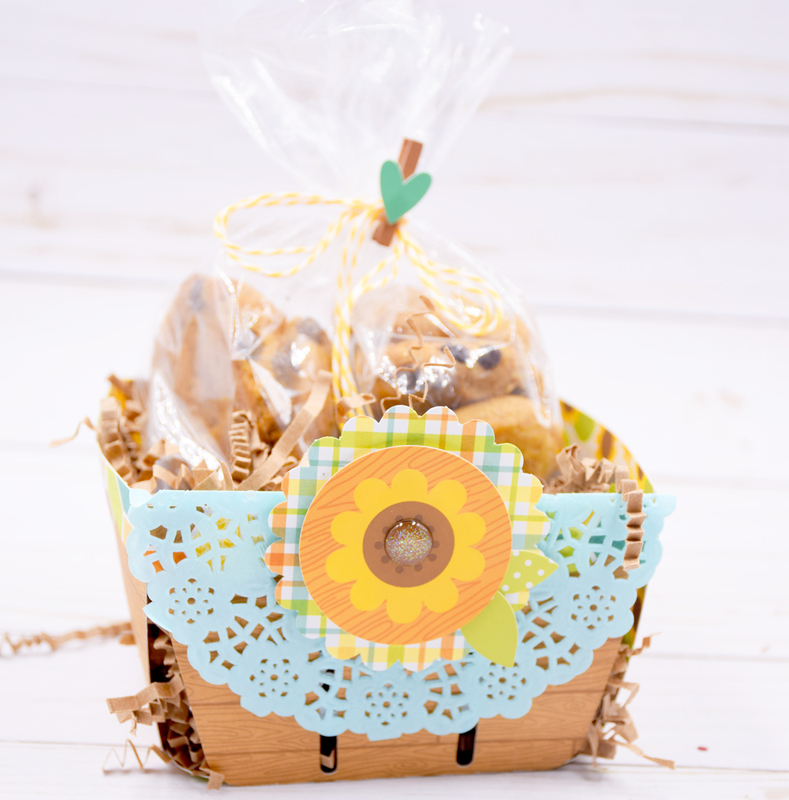 I chose to make a little gift set that would be perfect to give to someone you are thankful for - whether it is a friend, family member or just someone who you think needs a little pick me up - this fun little set is a great way to say thank you. The Flea Market collection is such a adorable collection and had so many great elements that made creating this set so easy. 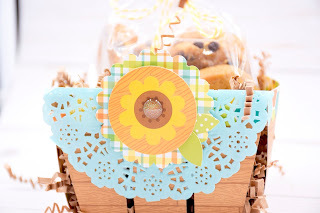 I chose to make a berry basket and a card using some cut files and my Silhouette Cameo. The berry basket can be found here. The card can be found here. This card is called a Wedding Ring Card - it is resembles a quilt pattern which I loved and added to the vintage theme of the collection. I used a few papers from the 6x6 pad and some brown cardstock to make this card. I cut the "thanks a bunch" sentiment from the paper with the sentiment strips. I also added a small yellow flower sticker from the icon sticker sheet and added a brown glitter sprinkle for a little bling. 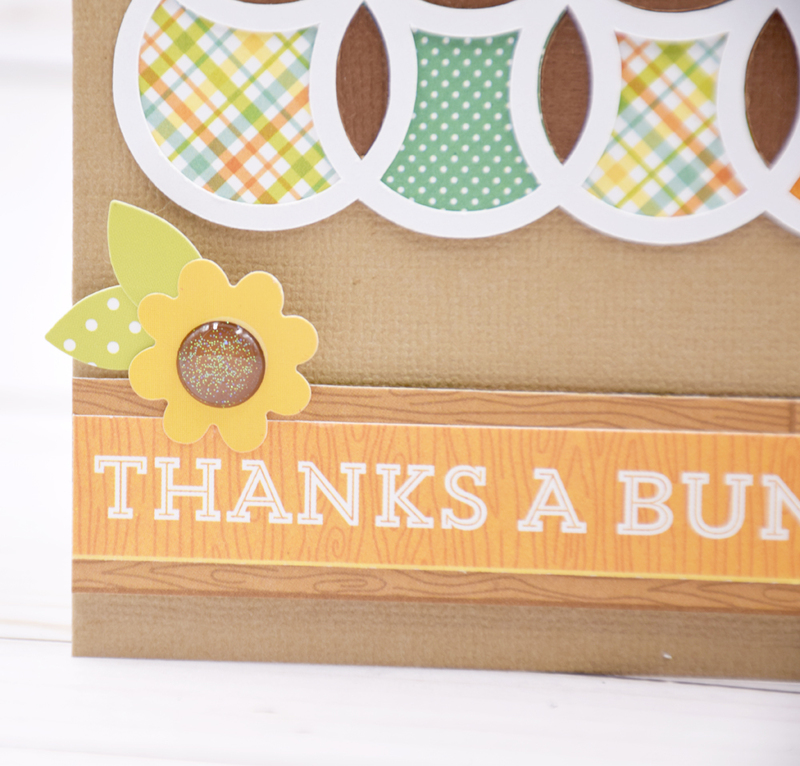 The berry basket cut file was so fun to use. I cut the basket from some wood grain paper and then added a hexagon pattern paper for the edges. 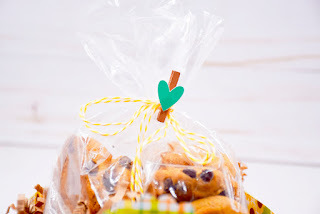 I filled the basket with some paper shreds and then added some pumpkin cookies to a cello bag and placed that inside the basket. 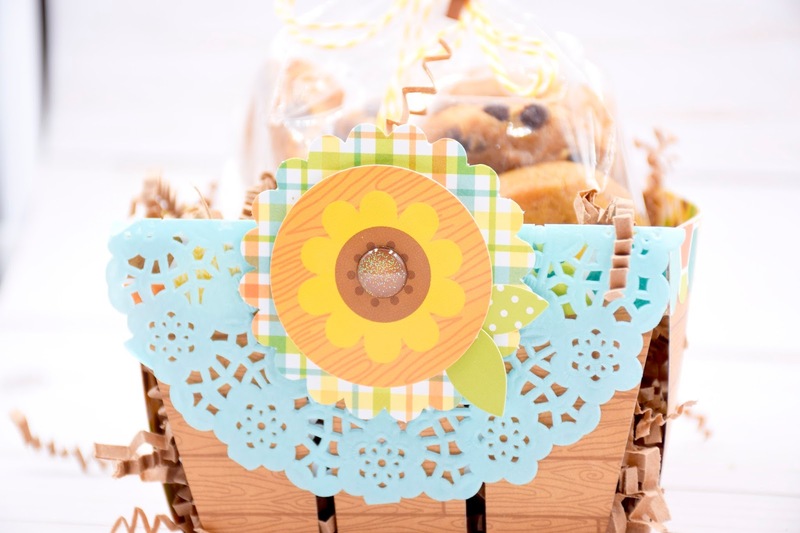 To decorate the front of the basket, I added a swimming pool doily, a scallop tag and yellow flower and leaf stickers to the doily with some foam tape. I added a brown glitter sprinkle to the center of the flower as well. I tied the bag with some yellow bakers twine and added a brown mini clothespin and a heart sticker to finish the decorations off. If you are looking for a fun way to say thank you to someone special - I hope I have inspired you to make this little set. It will be sure to make someones day. Thank you for stopping by today! Happy Crafting! Beautiful! What a sweet thank you!